I really enjoy this series and this book was no different. I loved Theodore, Snake, and Andy. I liked how involved in the book Andy was; most of the time children are just an afterthought in a book, but not in this one. Andy was up front and center and he was also a great character. I loved the chemistry between Theodore and Snake. I honestly wanted the book to last longer. There is a little angst with the grandparents, and a little between Theodore and Snake because they were each hiding things from each other. Overall, this was a fast, easy, enjoyable read with some cameos from characters from previous books. I loved the ending with Snake and Andy... so flipping cute! I can't wait to see what happens in the next book. This is another sweet and swishy addition to the Balls to the Wall series. This time, Theodore, a doctoral candidate at a conservative Christian university, finds himself fighting his attraction for Snake, a biker and bartender. Theodore and Snake are one of my favourite couples in this series. They present as opposites, but they have much more in common than Theodore ever imagined. The attraction is instant between these two, but the romance is a wonderfully angst-free slow burn. I enjoyed Theodore as a dad and I loved Snake’s relationship with Andy. And for someone who doesn’t usually enjoy kids in romance novels, Andy is a great character in his own right. The book geek in me absolutely loved Theodore’s thesis topic. Romantic fiction as literature is something I believe passionately in. (I’ve even had my own students undertake a feminist reading of contemporary Urban Fantasy fiction). I really enjoyed Theodore’s academic world, but I’m always disturbed by the idea of Christian Universities in the US. Once again, this story gets quite dark as Theodore’s Christian in-laws attempt to pull his son into their church and his religious department head attempts to destroy his career. As a Bible Belt survivor myself, I’ve struggled with the author’s portrayal of Christian fundamentalists throughout the series. Here, once again, the Christian characters are almost slapstick baddies. They are ignorant and too easy to dismiss as crazy and evil. I feel like the author continues to miss the subtle but insidiously toxic threat to a liberal and inclusive society from more mainstream Christian institutions. But maybe that reality is simply too dark for romantic fiction to consider in 2017. It was great to catch up with Theodore’s group of friends (now all coupled up!) in Laguna Beach. Whenever the story got a bit dark, Theodore and Snake had good friends to rely on. While there are always heavy themes in these books, I always come away feeling like I’ve read something light and happy – and full of California sunshine! I should preface my review by stating that I have not read any of the other books in this series. As it so happens, I was setting up the blog post for High Balls and its blurb snagged my attention. 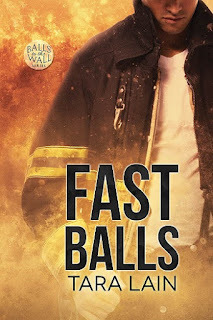 Being as the reviews for the previous books in this series by my co-reviewers have indicated that the books in the Balls to the Wall series can stand on their own, I decided to queue it up and let the text-to-speech feature on my Kindle read it to me while I worked on finalizing this week’s blog posts. However, I repeatedly found myself pulled away from my task and to my Kindle as I read along with or ahead of my Kindle as I either needed to know how a scene played out faster than the story was being read to me or because I got sucked into the storyline and, again, wanted to read faster. My enjoyment of High Balls was multifaceted, much like the book itself. I enjoyed the relationship Theodore has with his son, Andy, and felt protective of both as they were forced to deal with the religious intolerance of Andy’s maternal grandparents. Despite the beyond discrete nature of their budding romance, I loved watching Snake draw Teddy out of his shell, giving Teddy the chance to enjoy himself and share his heart with Snake – something Snake needed far more than many would expect. Of course, this made Teddy’s withdrawal from Snake even worse when it happened and yet, for me, Lain wrote both characters and the situation in such a way that my heart broke for them both rather than me being mad at Teddy for what could be construed as extreme cowardice. Added to that was my utter fascination with Theodore’s dissertation – both the subject matter and the story that he revealed during his defense as to why he chose that particular topic for his dissertation. High Balls not only appealed to the romantic in me with Teddy and Snake’s (and Andy’s) relationships, but also the academic in me and because of it, I thoroughly enjoyed the story. Furthermore, getting to meet Teddy’s friends left me wanting to backtrack to the beginning of the series to find out whose stories have already been told so I can see how they got together – as if my TBR list wasn’t long enough. My thanks to the author for writing a series of interrelated books that stand on their own because I thoroughly enjoyed High Balls and getting to meet the cast of characters. 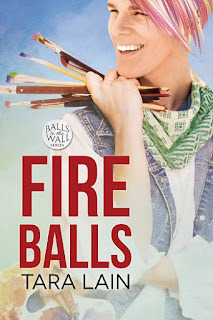 Reviewers on the Wicked Reads Review Team were provided a free copy of High Balls (Balls to the Wall #5) by Tara Lain to read and review. Does Pride & Prejudice by Jane Austen count? If not, then Widdershins by Jordan L. Hawk. No all time favorite, but my first romance that I do still adore is "Paradise" by Judith McKnaught. That's like asking which one is your favorite kid :) A couple of my favs are Crossroads by Riley Hart and the THIRDS series by Charlie Cochet. I'm having so much trouble with this question! Diana Palmer was my very first romance author I loved so any other her early romances. M/M is different I'd have to choose BOATK by TJ Klune it one of my all time favourite books. I don't know if I have an all-time favorite book. If I went by the most rereads, it would probably be either He Completes Me or Home Again by Cardeno C. Or Russian Prey by Sandrine Gasq Dion. Pride and Prejudice by Jane Austen is my all-time favorite. I don't have only one as I don't believe in "only 1 favorite" thing. One of my recent re-reads was Making Nice by Elizah Davis, I love that book. I simply cannot pick one favorite.